Have you ever felt lost when breaking up with others? Have you ever doubted if anyone better is going to love you so you settled for less? Have you ever been so caught up in an abusive and toxic relationship but couldn’t get yourself out? Love is what we all want to pursue. And being loved is a strong affirmation that we are worthy of something. But relying on external sources for love and compassion might be dangerous and would sometimes get us blindfolded. That’s why we should all be loving ourselves before loving anyone else. 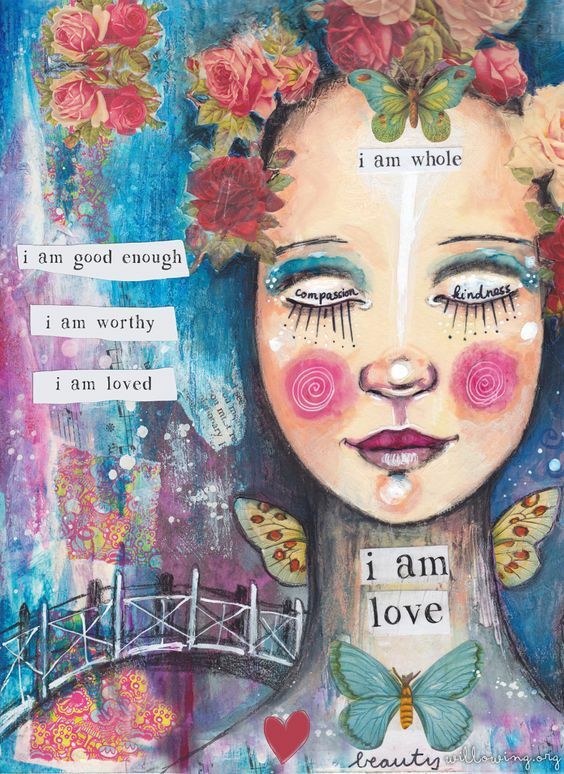 When you love yourself enough, you are setting a standard for how you want yourself to be treated. But self-love may bring you more. Self-love has become a popular topic that is literally everywhere. And it is not limited to relationships. But what is self-love actually? Self-awareness makes it possible for us to take a look on ourselves in third-person point of view. By building up self-awareness, you are clear about your strengths, your passion, your weakness and vulnerability. It keeps you away from blinded passiveness or narcissism. By accepting who you truly are, you not only acknowledge the weakness or failures in the past, but you also find a way to make peace with them and learn to live at present. Also, you learn to appreciate your qualities and worth that nobody else could take away from you. By knowing and accepting who you really are, you are equipped with the confidence to make magic with your own power. List out all the great things you want to have in your life and now it’s more like a natural instinct to come up with a game plan. Self-care and discipline, the powerful combo keeps your eyes on the goal without burning out your health and happiness. Self Love is no magic. It’s an attitude and it takes practices. Our goals will not be achieved in a sec just because we start to “love ourselves”. But what self-love can bring might be beyond imagination. By taking care of yourself and appreciate yourself, you project an image of an independent character in a relationship. When you don’t need external affirmations to assure your value, you set the standard. You will not be afraid of being left alone because you know you deserve the best. 2. Loving yourself enables you to love others in a better way. By loving yourself, you eliminate the unnecessary jealousy, insecurity, and anger from your relationship. Because you have learned how to appreciate yourself, you are more capable of appreciating others as well. You know how to be the best version of yourself and that helps to bring out the attractiveness and charism within you. Aside from its influences on intimate relationships, self-love can benefit us in various aspects of life. It might be the best investment because a little effort every day can result in a huge improvement in our holistic health. When we love ourselves, we are less likely to be trapped in self-denial because of the current situation or minor failures. It removes the fear of being rejected and thus helps reduce stress and anxiety. Practicing self-love regularly not only strengthens our self-appreciation but also help us to see the world in another way. We are more likely to enjoy the real happiness in life such as love from our family, personal achievement or acts of kindness. At the same time, pure pleasure will have less control over our mind. So for people with addictions, cultivating self-love would essential. Confidence is probably the first change we will see when we start to appreciate ourselves. It helps to remove the mental blockage of communicating with others as well as expressing ourselves. According to the Law of Attraction, when we are more confident and actually believe in our beauty, we will more likely to attract positivity and the love we want. Have you ever felt lacking the energy to hit the gym or go to work as you were supposed to? Don’t criticize yourself being lazy. Chances are you are under-motivated. Maybe you are not clear about your goal. Maybe you feel impossible to reach it or maybe you are just tired. With a high level of self-awareness, you are more aware of the “low battery” signals. And it gives us a chance to recharge before burning out. Self-growth is the best thing that happens on the trail of self-love. When you value yourself and care about your happiness and well-being, you are less likely to allow the toxic relationships or bad habits to stay in your way. Keeping a healthy diet, learning a new language, playing music and even the tiniest good can fill your life with content and enlightenment. Once the positive phycological cycle is built, your life will be automatically running towards the brightness and you will be able to be the better you. So that’s it. Self-love is probably the best investment you can ever make. 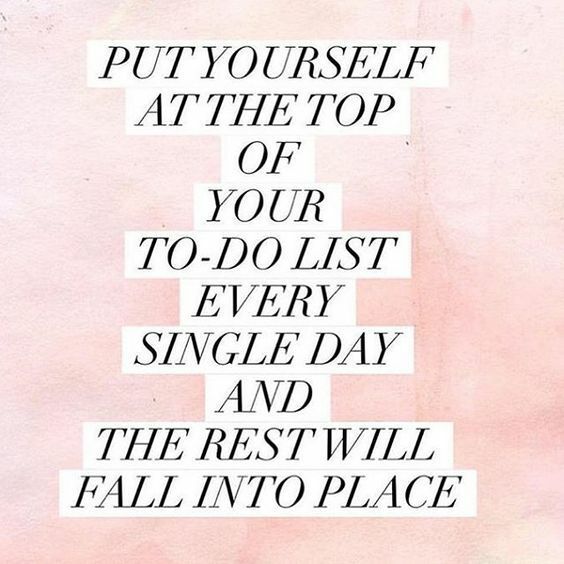 So take some time to practice self-love and you will find your life different! If you haven’t download our 7-day affirmation printable cards, go ahead and grab them down below. Print them out and stick to your mirror or vision board. They will remind you of how beautiful you are. Powerful, motivating words. Thanks much. Thank you! Hope this post helps!